Although farmhouse style has been around for a minute now, it still is going strong. Just take a look on Pinterest for proof! The rustic and traditional aesthetic definitely appeals to folks across the country and we don’t see it going away any time soon. However since the style has been popular for a while, we have a few recommendations to make the look feel modern and fresh. It’s time to throw out the burlap and bring in lovely and light additions. 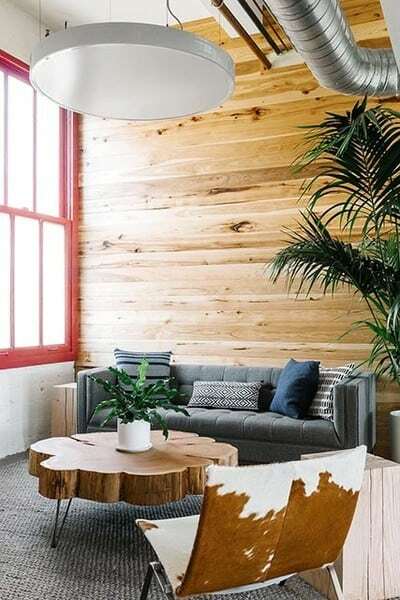 Read ahead to see a few tips to give new life to your fun rustic space. Written by Shelby Wax for Lonny. 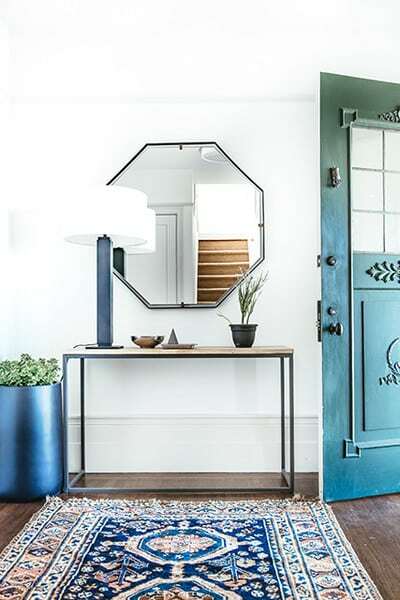 Want to update your entryway? Add a farmhouse flair with some vintage found objects, intriguing textiles, and summery hats. We love warm rustic pieces and textiles, but they look even better off-set against a clean and minimal backdrop. 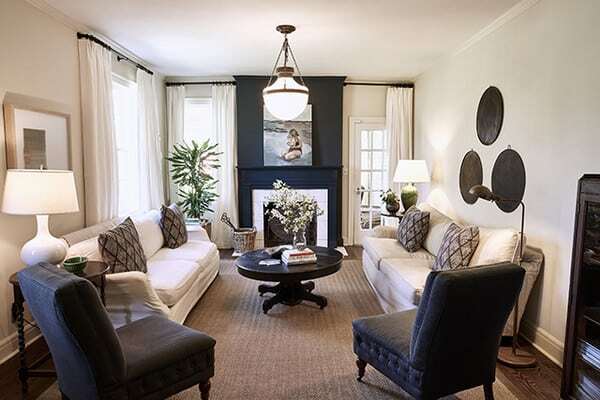 Try painting your walls and ceiling white to maximize the light in your space. Have a unique element to your home like a colorful vintage door? Create cohesion in your space by choosing textiles and pieces in a similar hue. A space that’s too symmetrical can feel a bit boring. Give your room some intrigue by accenting walls with fun art or a coat of paint. Just because you like farmhouse style doesn’t mean you can’t have modern shapes. 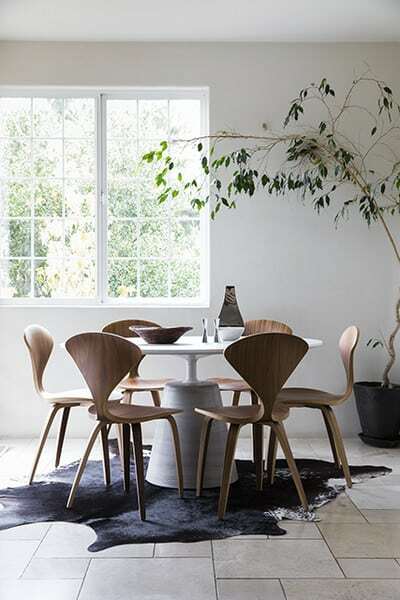 We love how the cowhide rug gives this modern dining set a rustic edge. Want to give a farmhouse edge to your bedroom? Choose cozy furniture pieces and soft textiles while accenting it with rustic pieces that still maintain a calm environment to rest your head. While we love a great coffee table in reclaimed wood, why not try out a large upholstered ottoman instead? Those soft edges are perfect to make your space more family friendly as well. Thinking of putting some shiplap on your walls? 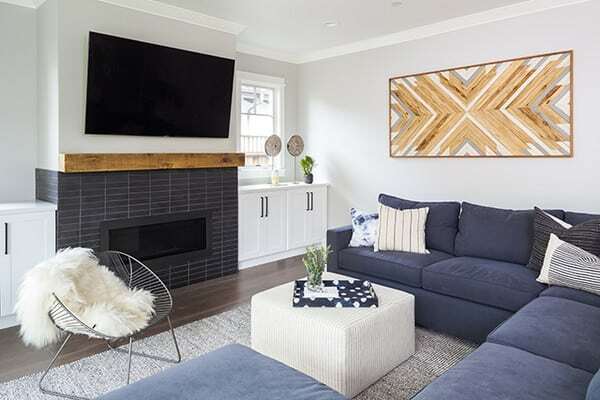 Choosing an option in lighter wood hues can make your home feel fresh and also works with a variety of decor styles if you want to change it up in the future. 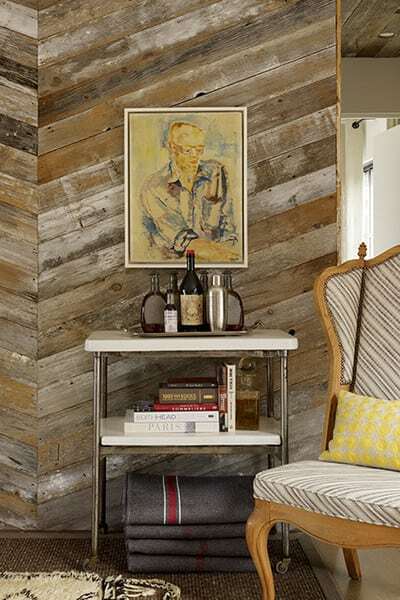 Alternatively, try arranging your wood panels in a diagonal or herringbone style to add a unique dynamic to your walls. Don’t be afraid to do something unexpected! 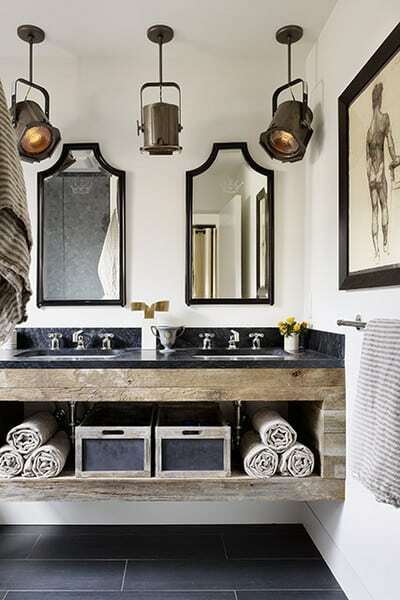 We love these vintage industrial spotlights in this more traditionally farmhouse bathroom. You'll amazed by the creativity of the people who made them.